On their third album - Lichtgestalten - VANITAS breaks new ground with music that defies categorization. After stretching the bounds of gothic metal on their first two releases, the band has now broken out of the genre for good, delivering a modern metal album in a class of its own. Despite the band's obvious close relationship with gothic symbolism and deliriously morbid elements, the new release features a harder and more diversified sound. The affinity of Vanitas for delivering varied and above all independent songs is more apparent than ever on Lichtgestalten. At just under 55 minutes, the new album succeeds in credibly and convincingly fusing various styles of hard metal without sounding forced or artificial. Musically VANITAS has gone through a natural right of passage without abandoning their signature sound. For example, as on their previous release Der Schatten einer Existenz, the new album features a classical string quartet (members of which have graced the hallowed stage of the Vienna State Opera) that lends the songs added depth and an air of excitement. For the first time, soprano Maria Dorn is supported at times by guest vocalists. Indeed, particularly in the vocal department, the band has taken a major step forward, relying on a varied mix of growls, screams, clean vocals and whispers. 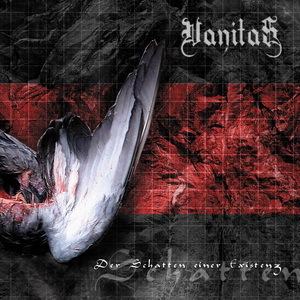 In one of the CD's lyrical highlights ("Lebenslauf"), Vanitas accurately describes from their viewpoint the process of coming to terms with life, which also seems to perfectly illustrate the band's musical approach: making their own way without consideration for rules or trends. Both lyrically and musically, certain aspects seem paradoxical and incompatible at first glance. Yet closer inspection reveals a carefully thought out concept. Nonetheless, the band gives its listeners tremendous freedom of interpretation. The end result is an album with which VANITAS continues on their successful course. Thanks to a willingness to escape from their comfort zone and an openness to new ideas, Vanitas is able to express their stylistic independence with increasing ease. Lichtgestalten - music without boundaries. On their third album – Lichtgestalten – VANITAS breaks new ground with music that defies categorization. After stretching the bounds of gothic metal on their first two releases, the band has now broken out of the genre for good, delivering a modern metal album in a class of its own. Despite the band’s obvious close relationship with gothic symbolism and deliriously morbid elements, the new release features a harder and more diversified sound. The affinity of Vanitas for delivering varied and above all independent songs is more apparent than ever on Lichtgestalten. At just under 55 minutes, the new album succeeds in credibly and convincingly fusing various styles of hard metal without sounding forced or artificial. Musically VANITAS has gone through a natural right of passage without abandoning their signature sound. For example, as on their previous release Der Schatten einer Existenz, the new album features a classical string quartet (members of which have graced the hallowed stage of the Vienna State Opera) that lends the songs added depth and an air of excitement. For the first time, soprano Maria Dorn is supported at times by guest vocalists. Indeed, particularly in the vocal department, the band has taken a major step forward, relying on a varied mix of growls, screams, clean vocals and whispers. 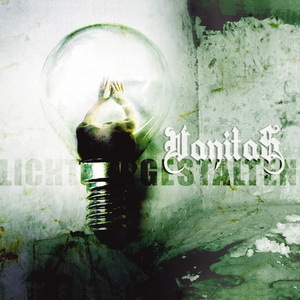 In one of the CD’s lyrical highlights (“Lebenslauf”), Vanitas accurately describes from their viewpoint the process of coming to terms with life, which also seems to perfectly illustrate the band’s musical approach: making their own way without consideration for rules or trends. Both lyrically and musically, certain aspects seem paradoxical and incompatible at first glance. Yet closer inspection reveals a carefully thought out concept. Nonetheless, the band gives its listeners tremendous freedom of interpretation. The end result is an album with which VANITAS continues on their successful course. Thanks to a willingness to escape from their comfort zone and an openness to new ideas, Vanitas is able to express their stylistic independence with increasing ease. Lichtgestalten – music without boundaries.